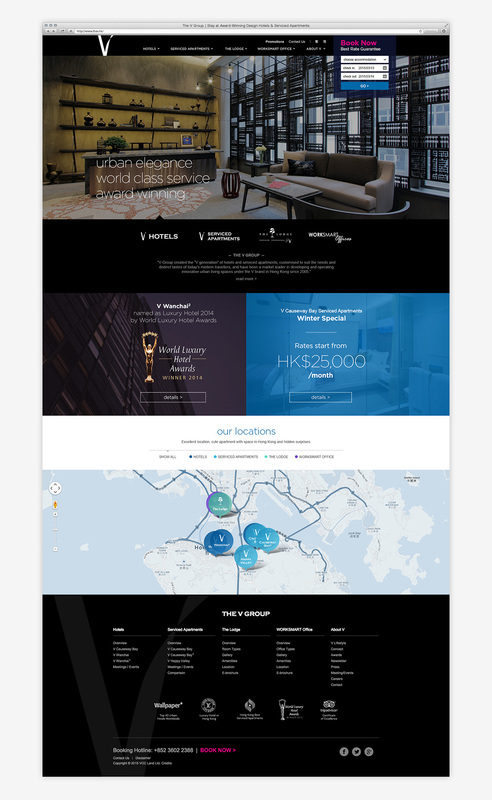 The V is a group of hotels, serviced apartments and offices, all located in exceptionally central and urban areas of Hong Kong. Its innovative designs and exceptional service has led to the group's accumulation of numerous awards over the years, at both local and international standards. 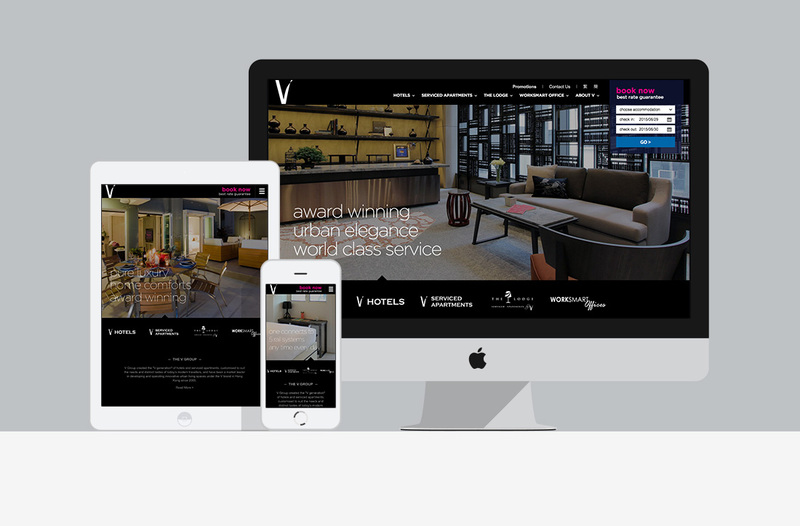 Having previously worked with The V group for their independent hotel website, we were already familiar with the group's branding identity and art direction. 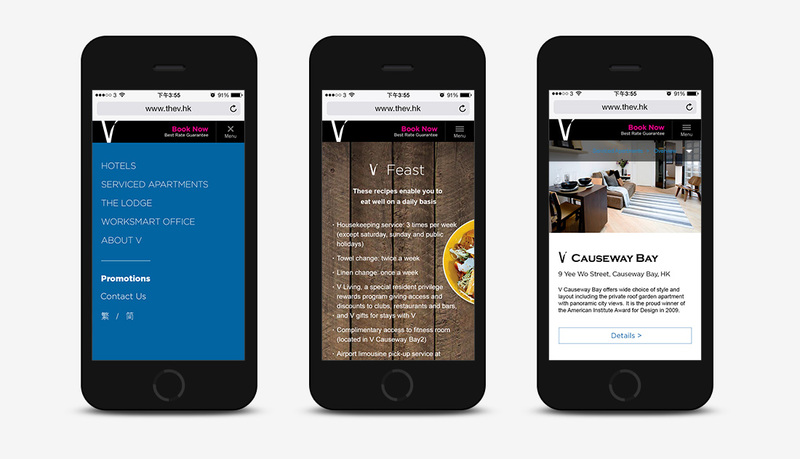 We designed and developed their group website based on a consistent theme, and used a responsive web design (RWD) to ease accessibility and reach, especially for travellers who are more likely to view the website on mobile devices. 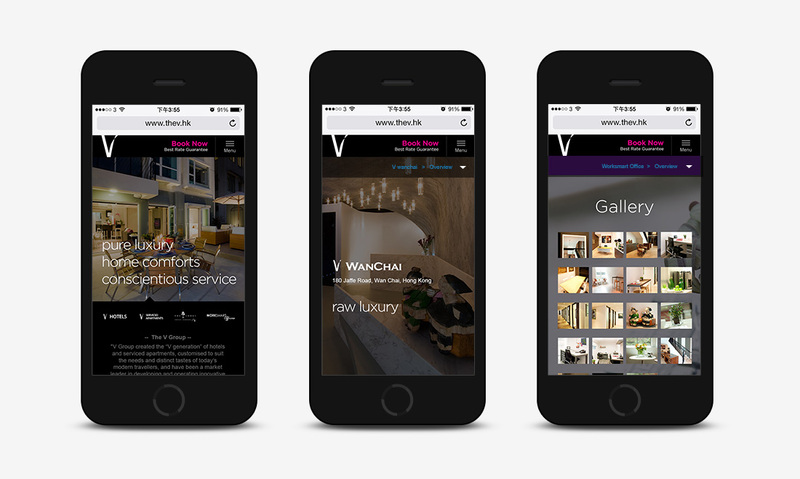 We also integrated their booking engine into the website, which remains a prominent feature throughout all pages. 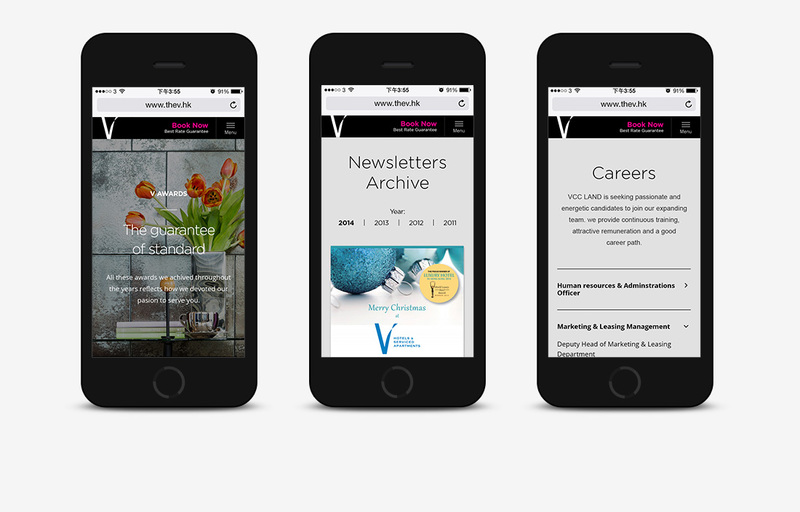 A tailor-made content management system (CMS) was implemented to allow The V group to easily maintain their website in future.